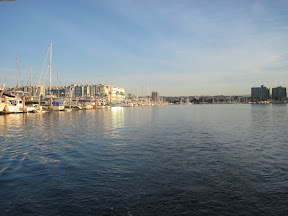 Marina del Rey reminds me of Lake Union in Seattle. It’s the largest man-made marina on this coast and is located right next to Venice Beach and is a short cab ride away from LAX. 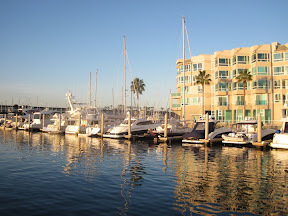 Marina del Rey is possibly my new favorite place on this coast, and I would love to live here for a longer period. 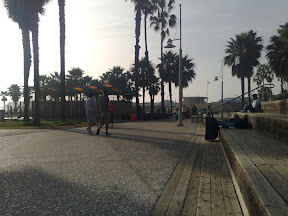 During my stay, I had a chance to rollerblade all the way to Santa Monica Pier. I kept a keen outlook for Pamela Anderson or any baywatch lifeguards, but alas, no luck. 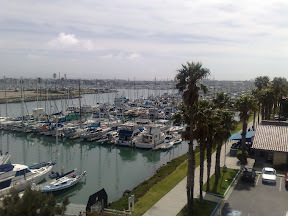 I also had the opportunity to visit some friends in the marina (after fixing my outboard) and had a great time here. But the goal presses on, Point Conception is waiting, so early Saturday morning I made my passage to Ventura, to be just a little closer to round Point Conception. The trip to Ventura was fast and easy. I even got to sail the last hour, before arriving in Ventura. Ventura is a very quiet place, well protected and I was very warmly received by members of Ventura Yacht Club. 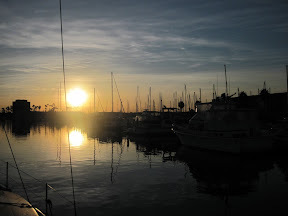 I had dinner and drinks at the club with yacht club members and I think Ventura Yacht Club might just be the friendliest yacht club on this coast. I stayed here for 3 days, while waiting for a gale to blow through. Santa Monica. That’s the Santa Monica pier in the background. 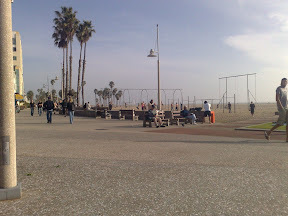 Always a very crowded place, but it was impossible to rollerblade on the pier (it’s made of large wooden boards). 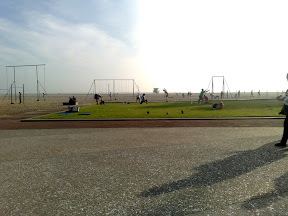 Santa Monica’s version of Venice’ Muscle Beach. This is more of the yoga/Thai chi crowd. Is that Pamela Anderson’s watchtower I see in the background :). 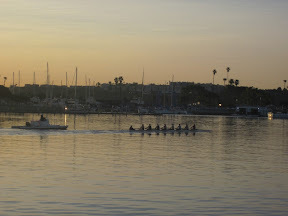 Leaving Marina del Rey, the sun had just come up. Like I said, my new favorite spot on the West Coast. Rowing teams practicing in the morning. Brings back memories of being young and physically capable. Also reminds me of Newport. According to Wikipedia (the world’s most trusted source…) there are 19 marinas here with a total capacity of 5300 boats. 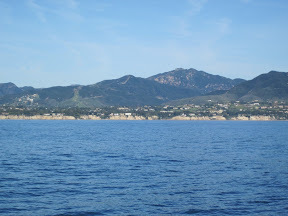 Underway, I pass by Malibu. I tried to spot Charlie Sheen’s house (Two and a half men), but I have no idea what it looks like or if it even exists…. 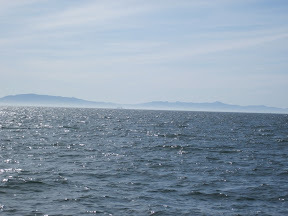 You can see the Channel Islands in the distance. If you look closely, you can also see the outlines of an oil rig. 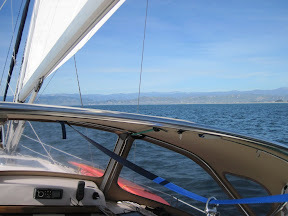 Yes, I actually got to sail my sailboat for about 1 hour before arriving in Ventura. 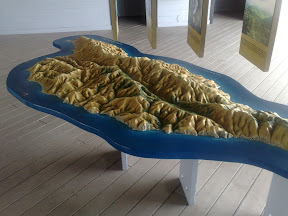 A cute model of the Channel Islands that was on display in Ventura. 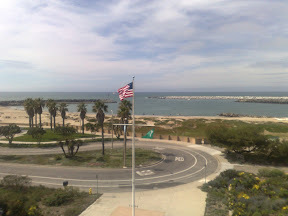 From a watch tower in Ventura I had a pretty good view of the harbor. Here’s a view of the Ventura breakwater from the same tower.